Prisons and jails charge inmates substantial portions of their annual wages for basic necessities. A new report assesses inmates&apos; commissary spending in three states. 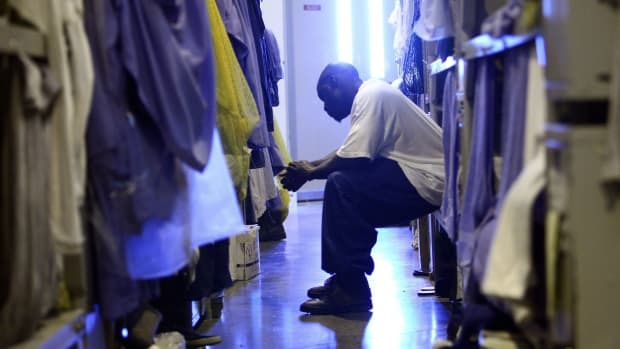 Incarceration is expensive, and prisons and jails often attempt to shift the costs to inmates and their families, charging for phone calls, emails, and even basic necessities from the commissary like food and toiletries. 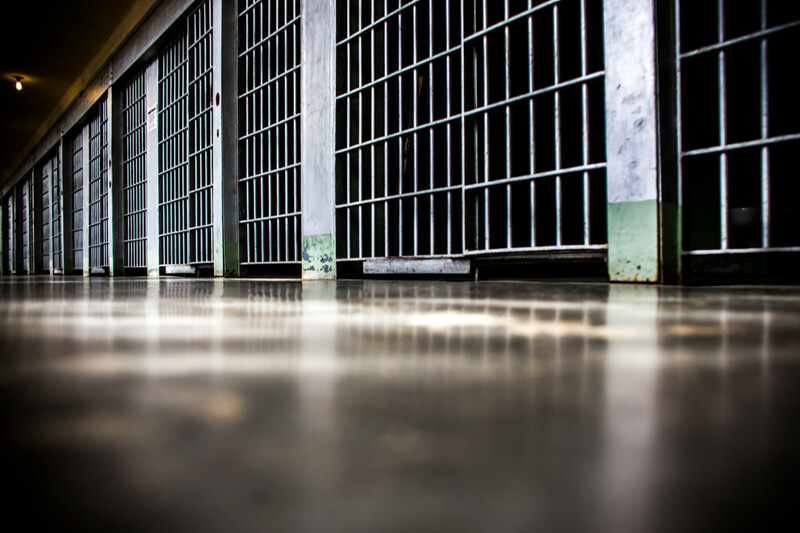 Previous estimates pegged commissary sales in prisons and jails as a $1.6 billion industry, but a new report from the Prison Policy Initiative suggests that the number may be even higher. 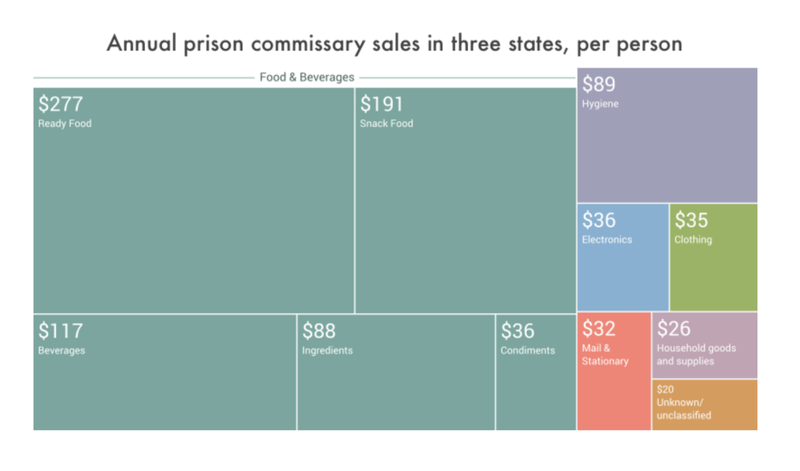 For the report, attorney Stephen Raher parsed commissary sales data for three states—Massachusetts, Washington, and Illinois—to find out how much inmates were spending on things like snacks, hygiene products, stationary, clothing, and electronics. Raher found that, across all three states, inmates spent an average of $947 on commissary goods annually. Meanwhile, yearly prison wages in these states range from $180 to $660, according to Raher. Many inmates rely on family members to make up the difference, which means that "families are effectively forced to subsidize the prison system," Raher writes. Of course, not every inmate has family members capable or willing to transfer money into their commissary accounts, which means some inmates can&apos;t afford to make any purchases beyond their prison wages. While prices for some items are comparable or even lower than prices found in free-world stores, the costs are significant for incarcerated people and their families. In general, the report found that most goods were priced at or below costs in the real world, but that doesn&apos;t mean incarcerated people are getting fair deals. In Illinois, for example, inmates spend an average of $80 on a year&apos;s worth of toiletries and hygiene products, accounting for half their annual wages. Inmates spent the most on food, supplementing notoriously small, nutrient-poor prison meals with packaged snacks, meals, and beverages. According to Raher, the data clearly shows that most commissary purchases are not for luxuries, but basic necessities. 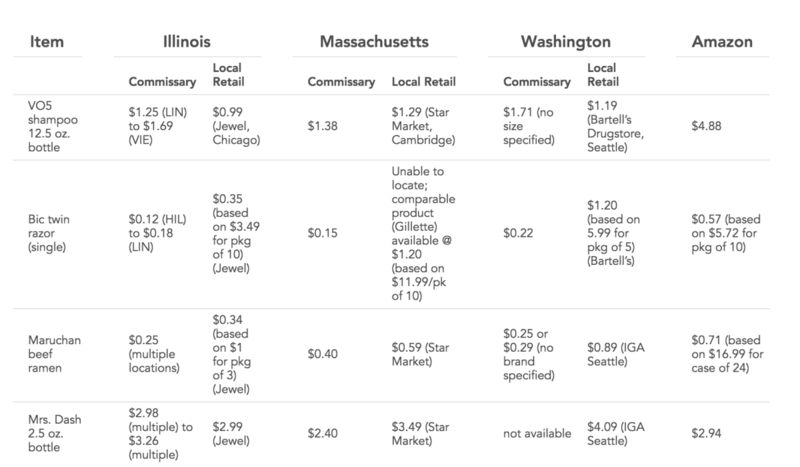 Average annual per-person commissary sales, by category, in Massachusetts, Illinois, Washington, and in all three states combined. Credit: "The Company Store: A Deeper Look at Prison Commissaries"
"If your only bathing option is a shared shower area, aren&apos;t shower sandals a necessity? Is using more than one roll of toilet paper a week really a luxury (especially during periods of intestinal distress)?" 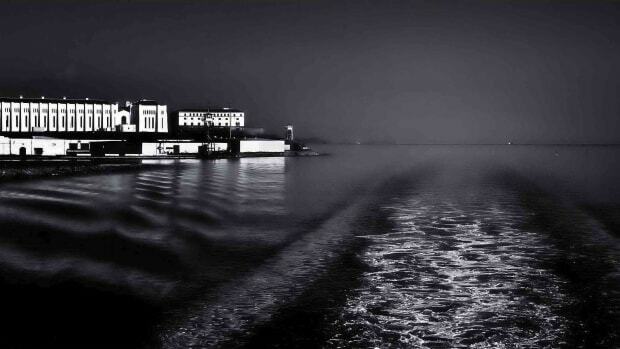 Raher asks. "Or what if you have a chronic medical condition that requires ongoing use of over-the-counter remedies (e.g., antacid tablets, vitamins, hemorrhoid ointment, antihistamine, or eye drops)? All of these items are typically only available in the commissary, and only for those who can afford to pay." A new report finds that a drop in the prison population doesn't necessarily mean a drop in prison costs. 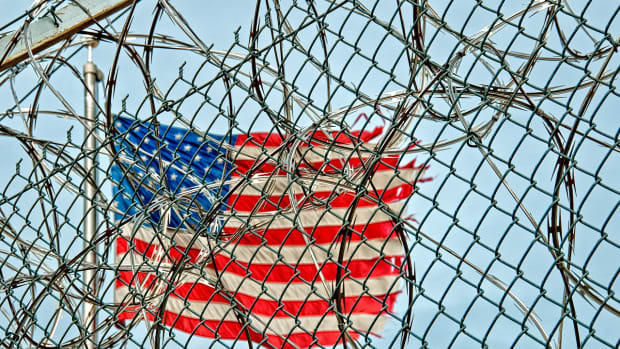 Harvard University sociologist Bruce Western weighs in on the role of prisons in perpetuating human vulnerability. Highlighting racial disparities may be less effective, a new study finds. 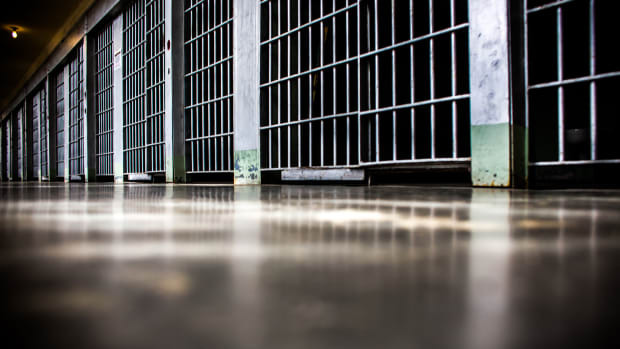 Two inmates from a Minnesota state prison discuss organizing a strike—and why they feel rehabilitative programming is still inadequate. 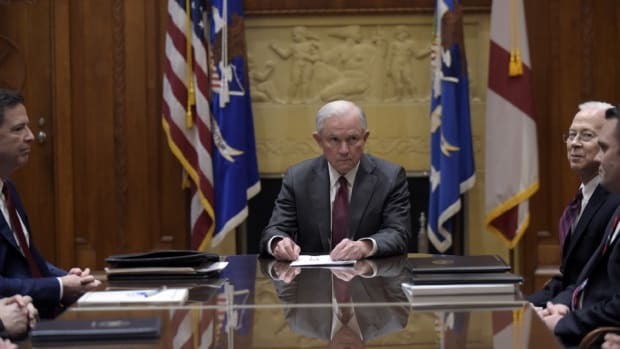 A memo from Attorney General Jeff Sessions alludes to a potential federal prison population boom. 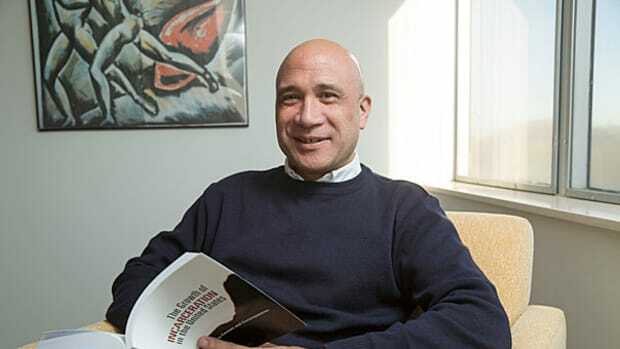 An interview with the managing editor at one of the country's most widely read prison newspapers.